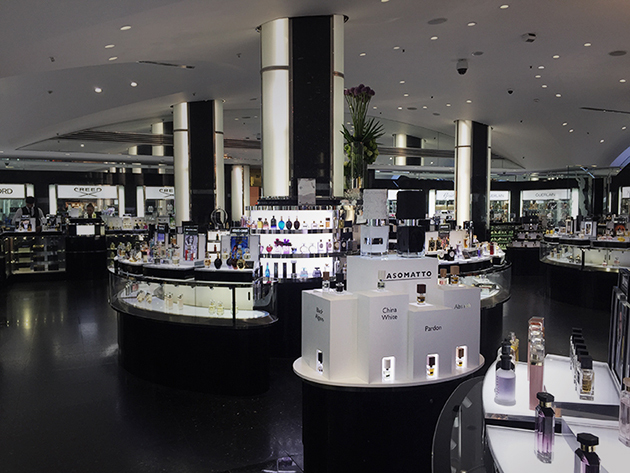 The luxury perfume area at Harrods is all black and white. and not get lost on the ‘infinite’ oval display, I covered it with a geometric angular lid. 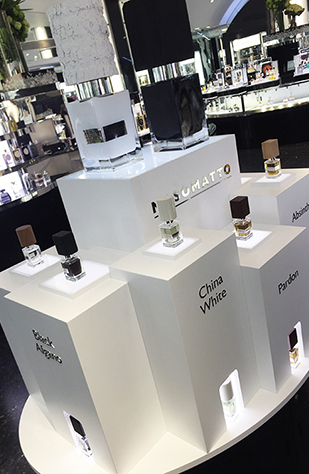 It actually consists of pedestals in the same number of references as the perfume line, creating a kind of ‘skyline’. 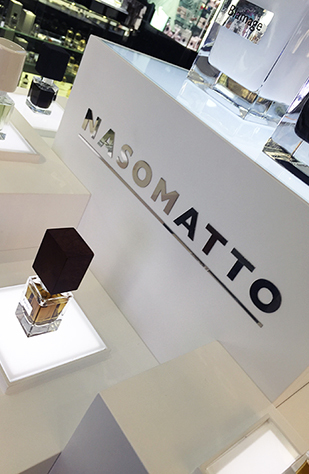 By using the light in two different ways I draw attention to every single iconic Nasomatto fragrance, once by lighting the juice, once by showing the bottle’s silhouette.